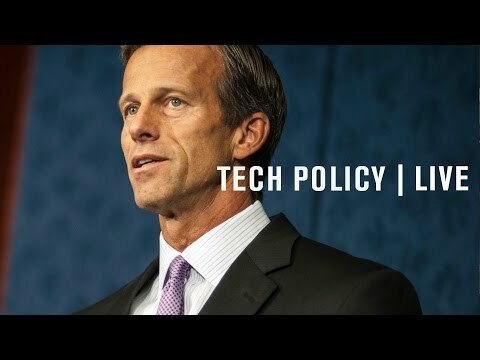 Thune Opposes FCC Ensuring Net Neutrality And User Privacy On The Internet. When the Federal Communications Commission last Thursday ruled that it could regulate the internet, our Senator John Thune's reaction was exceptionally defiant and angry. He called the decision "partisan," a "power grab," "regulatory overreach," adding it inflicted "damage and uncertainty" on the Internet. Apparently, the notion that "net neutrality," meaning keeping the lines of the internet open and available to all comers on a level playing field by using the FCC's enforcement powers to do so, strikes Thune as an overexcercise of federal power and oversight. methods of providing different levels of internet service based on who can pay for what. 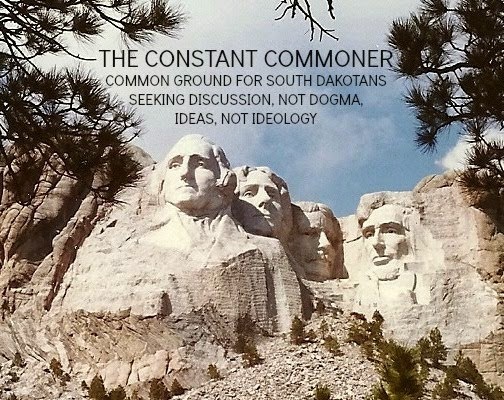 Why Are Thune And Others Opposed? up in arms against. Section 222 of the Communications Act of 1934, which will be the controlling authority for the FCC's powers of enforcement, forbids internet servers from obtaining information about its users and selling it. The L.A. Times looked at this yesterday and called it a possible "game changer for Internet privacy." In the language of Section 222, internet service providers will have "the duty to protect the confidentiality of proprietary information of . . . customers . . . and shall not use such information for its own marketing efforts." I know from my own internet marketing efforts, meager as they are, that customer information is the substance of the business. It is an extraordinarily valuable commodity. The FCC's own fact sheet on this notes that Section 222 would be enforced. The fact sheet dedicates a separate line to that notation. My question to Senator Thune is why on earth is he fighting so hard keep an agency from protecting the privacy of us South Dakotans who use the internet? Think Hard, Fellow Pubs, Before You Pass The "Youth Minimum Wage" Bill. 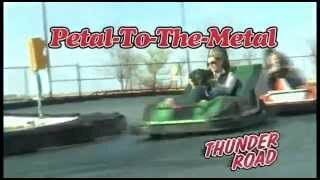 You'll Be Unleashing A Torrent Of Ill Will. Who Do You Suppose Works Here? blog The Madville Times. Like me, Cory has been exceptionally frustrated by the continuingly good prospects for the passage of South Dakota Senate Bill 177, which will effectively amend--by legislative fiat--the minimum wage law passed by South Dakota voters last November. That law established an $8.50/hr minimum wage (with automatic cost-of-living adjustments) in South Dakota, across the board. What the supporters of SB 177 (including main sponsor Republican State Senator David Novstrup, who operates an amusement park in Aberdeen) want to do is reduce the minimum wage to $7.50 for workers under the age of 18 and take away the automatic COLA adjustment. I stand with Cory when I say "phooey." That "phooey principle" was well-articulated this morning in the Capitol by Republican Rep Lance Russell when he said, while speaking to another issue, "to disregard the will of the people is not something we should take lightly here today." I'll be waiting to see how Russell votes on SB 177. Summer Biz, Operated By SD Sen. Novstrup. He Hires 25 Young People Here Each Season. He Sponsors SB 177.
bloc that will vigorously challenge the new law once it's passed. This spells double-trouble for Republicans. First, they'll look mighty arrogant with their cavalier disregard for what the voters passed in the first place, which should generate some energy among us ordinary folks, regardless of party. Second, it will give Democrats a great launching pad for a desperately needed consolidation of their forces ahead of the '16 elections by using this potential referendum as a focal point. We Pubs need to ask ourselves if passing SB 177 is worth the risk of being on the wrong side of an argument over how much our young South Dakotans should earn. From The "I Thought They Only Reported And We Got To Decide" File: Here's Fox News Badmouthing The Badlands And Wind Cave. 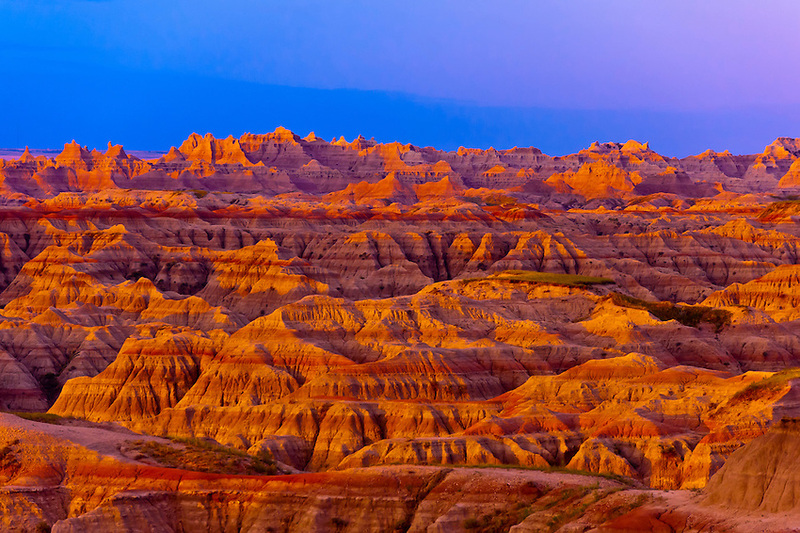 Fox News Calls It A "Dusty Divot"
and lets its audience decide just belied its self-sanctification with a hit piece on two of South Dakota's treasured natural marvels, the Badlands and Wind Cave. It "decided" for its followers that Badlands National Park and Wind Cave National Park are two of the five worst national parks in the United States. Yes, this media beacon for the conservative class, Fox News, calls the Badlands some "washed out hills of 50,000 year old mud," and Wind Cave a "long tour . . . not worth the time or money." Fox News Calls Them "Fat Dirt Squirrels"
the station may be trying a new tack toward sensationalism as a way to right its precipitous fall in viewership. Though still Numero Uno in the cable news race, its total viewers through Q2, 2014 were down by 20% compared to the previous year. In terms of demographic analysis, Fox just had the worst quarterly performance since 2001, when it was still in fledgling status. These are actually awful declines. I don't watch much cable news, mainly because I can't stand the obvious political slant on any of those channels, but understand that there has been a continuing decline in viewership on all of them. Given this gratuitous hatchet job on two of the world's natural wonders, both fortuitously located in our state, where we understand their aesthetic and economic value, I doubt that Fox News will see much of a bump in its following in these parts. Regardless of what Fox News pretends to report, millions of visitors a year have already made their decisions on the Badlands and Wind Cave. Might I Add "Self-Aggrandizing" and "Delusional," Lieutenant Governor Michels? South Dakota Republican Lieutenant Governor Matt Michels just came up with a doozy. SD Lt. Gov. Michels. "We're Collectively Brilliant"
Might I Add "Self-Aggrandizing" And "Delusional?" Talking to WNAX Radio this morning he said of himself, his boss Governor Dennis Daugaard, and the administration's propensity to replace action with study groups ("workforce summits," "blue ribbon" education panels, among others), "we might be smart individually but collectively we're brilliant." Michels went on to talk glowingly about the "data driven" prospects for Daugaard's latest effort at understanding the obvious, which in this case is the simple fact that we're either at or close to the bottom in virtually every element of spending and performance in our public schools. The "data driven" part really rankles, because last year's report on Daugaard's "workforce summit" initiative failed to address the most obvious piece of data relevant to our state's chronic labor shortage: the gap between wages in South Dakota and wages in our surrounding states. This comes across more as "data indifferent" than "data driven." National Association of State Budget Officers. NASBO projects state general fund revenues, nationally, to "increase by 3.1% in fiscal 2015." So far South Dakota's numbers have been up an anemic 1.1% and will very likely fall far short of the state's hopes for a 2.8% gain as fiscal '15 winds down. Considering that the overall U.S. inflation rate during the past few years has been hovering between 1.5% and 2%, the numbers for South Dakota look even worse. Not being able to keep up with inflation means that real revenues are actually down. So where's the "collective" brilliance in all this, Lieutenant Governor Michels? My comments section is yours to access. Thune Should Back Off And Let The FCC Move Forward With Its "Net Neutrality" Plan. The FCC Approach Guarantees It. Thune's Approach? Not So Sure. being able to charge Netflix more money for faster delivery of its content to me. Eventually that extra cost will be passed on to me, the Netflix customer. But even more galling? Some of the other content I get will be slower than my Netflix Streaming. That stinks. This is what the "net neutrality" imbroglio is all about and it doesn't bother me that the Federal Communications Commission in Washington, D.C., is about to implement a set of rules keeping the status quo intact. Our Senator John Thune doesn't like the idea. I can understand his reasoning. Playing the "over-reaching regulatory approach" card, he has been doing all he can to block the FCC from putting its proposals into place and has an alternate set of mandates that he would like to apply as a substitute for what the FCC has in mind. What the FCC has in mind is impossible to know at this point. That kind of bugs me, but apparently it's standard procedure for the Commission to implement a plan before telling the public about its details. As the Commission's vote on this is scheduled to take place later this week, we'll soon know its details. The conventional thinking seems to be that the FCC will vote for the plan, given that the Commission has a Democratic majority and that the plan has President Obama's backing. oppose the FCC plan and that its supporters are generally consumer groups and internet application companies like Yahoo and Google. Oh, and you can add Netflix to that group of supporters of strong FCC oversight of net neutrality. My take? Go with the surest method of making net neutrality the law of the land. That means the FCC's approach, which seems clear and unequivocal, is the best way to do this. I just don't want an internet where some content comes to me at higher speed than other content. Thune's argument that the FCC's proposal will stifle innovation doesn't stand the test of history, as a free and wide-open internet with equal access to everyone has probably been the most innovative medium of our lifetimes. I see from Thune's list a set of bullet points that sound good, but don't see him attaching a mechanism that ensures compliance. Cumbersome, intrusive and overreaching as the FCC plan may well turn out to be, it ensures net neutrality. Thune's counter-proposal comes with no such guarantee. The FCC, which over the decades has regulated common communications in a reasonably efficient and satisfactory manner, makes its decision at the end of this week (2/26). The standards it seeks to apply in pursuit of net neutrality are likely to work out just fine. "Courage" As Defined By The SD Senate: Let's Reduce The Wages Of People Too Young To Vote. Good grief. 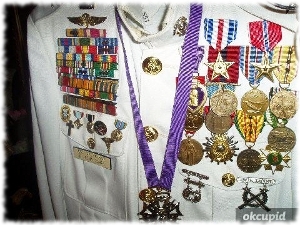 Do These Politicos Want A Medal Or A Chest To Pin It On? Such A Profile In Courage. What A Hero. Democrats and decreed that young people under the age of 18 have to accept a minimum wage that's a dollar-an-hour less than that earned by their adult peers. The GOP majority leader Tim Rave even used the word "courage" to describe this debasing of the value of South Dakota's young people via SB 177. Wooo. What a heroic act of statesmanship. You'll have to excuse me for not standing by admiringly and cheering on these legislative gladiators who've festooned themselves with glory, but in my book what they did was an act of cowardice. First off, they've skirted the clear will of a majority of voters who passed the minimum wage law last November, who voted for it with no strings attached. Passing SB 177 is an act of gall, not a testament to courage. Second, the very class of workers affected by this distortion of the voters' will isn't able to exercise its disapproval at the polls, meaning no danger of pushback. Third, the Senate's fealty to the South Dakota Retailers Association, which fought the minimum wage initiative initially and has been sponsoring efforts in this legislative session to tinker with it, has been exposed. SDRA couldn't get the legislature to gut the COLA built into the intiative because it would affect South Dakotans who are old enough to vote. So it looks like they'll settle for a victory over young people, who are powerless to do anything about it. Which One For Your Courageous Vote, Sen. Rave? they put the measure together. Such courage, such clairvoyance, such chicken manure. All these guys are doing is trying to save some of their patrons in the business community a few bucks by legitimizing lower wages for the young people they hire. And then congratulating themselves for being a bunch of heroes while doing so. What a great message they're sending to our state's young people. Is Brendan Johnson Fading Into Obscurity Or Just Biding His Time? I Think The Former Will Suit Him Well. from that post in order to work in Sioux Falls for a Minneapolis-based law firm has been widely reported during the past few hours. His father is recently retired U.S. Senator Tim Johnson (D-SD), one of the most venerable politicians this country has ever produced, serving in the U.S. Congress as both Rep and Senator for nearly 4 decades, continuously. Given the bloodline and the high profile position as U.S. Attorney, Democrats in South Dakota have speculated, for the most part hopefully, that Brendan would soon enter politics and bring some powerful "name i.d." into the '16 races, challenging either Kristi Noem for the House seat or John Thune for the Senate. My take is that Brendan Johnson has neither the stomach nor the money to make himself much of a candidate. His reluctance to speak out on the EB-5 "cash for green cards" scandal was a pretty clear signal that Johnson wasn't about to position himself as a crusading federal official involving an imbroglio that appears to have cost South Dakota more than $100 million. Johnson's refusal to testify to a South Dakota legislative committee investigating the matter turned into a significant Republican talking point because Johnson insisted that "guidelines" prevented him from commenting on whether or not there was an ongoing federal investigation into the matter. Pubs immediately pounced on Johnson's inconsistency by calling attention to an earlier case when Johnson told media that there was indeed a federal investigation into a matter then pending. Pubs then piled on by noting that a New Jersey U.S. Attorney had no reservationas about announcing a federal investigation into a matter in that state. The "guidelines" dodge may have some merit in writing, but in practice it has been ignored. Pubs capitalized big on Johnson's silence, claiming that it showed the federal investigation was over and done with and that there was nothing new to report. The conclusion? That Johnson's recalcitrance only fed into Democratic conspiracy theories. There was no pushback forthcoming from Johnson's office. Is Brendan Johnson Familiar With Faulkner? How About A Statement On EB-5, U.S. Attorney Johnson? consequences. For being so short of guts, my reaction to Johnson's departure is "good riddance." A shortness of guts will only be compounded by a shortness of cash if Johnson chooses to run in '16. Kristi Noem comes out of the last election with $800 thousand cash on hand. Considering that Noem was able to raise $2.4 million and that her status as a multi-term incumbent will only make fundraising easier, Johnson will have to scramble hard to come up with the dough it will take to match up. Given his commitment to private practice well out of public sight, I doubt that he can come up with the money to run for the House, and if he does, I have no doubt that the coffers of the national GOP establishment will gush with whatever money it takes for Noem to hold on to her seat. As to the Senate, ay yi yi! John Thune has $10 million on hand. If Thune decides to run for re-election, which he probably will, considering that his political value to a spot on the national ticket is minimal, Johnson doesn't have a chance. The private sector, where Johnson won't be compelled to put anything on the line, publicly, is probably the best place for this young man. I would like to submit the following complaint regarding issuer Azarga Uranium Corp. (“Azarga”), ticker AZZ.TO. An Azarga official has made a misleading public statement regarding the permitting status of the proposed Dewey-Burdock uranium project located in Fall River and Custer Counties, South Dakota, USA. In addition, Azarga recently issued a news release in which an erroneous assertion is made that a new Preliminary Economic Assessment for the project has been issued. The Nuclear Regulatory Commission (“NRC”) staff issued Source Material License No. SUA-1600 to Powertech (USA) Inc. (“Powertech”), a wholly-owned subsidiary of Azarga, on April 8, 2014. However, Azarga has not commenced construction of the project due to the ongoing hearing process before the NRC’s Atomic Safety and Licensing Board (“ASLB”), as well as the fact that multiple additional federal and state permits have not yet been obtained. The ASLB hearing process began on April 6, 2010 with the filing by the Oglala Sioux Tribe (“the Tribe”) of a request for a hearing and petition to intervene in the proceeding regarding Powertech’s application for a uranium recovery license for the Dewey-Burdock project. The ASLB eventually admitted seven contentions raised by the Tribe and a group of petitioners referred to as the Consolidated Intervenors. The ASLB closed the record on the admitted contentions on December 10, 2014. Parties submitted Initial Briefs with Findings of Fact and Conclusions of Law on January 9, 2015. Post-hearing reply briefs were filed on January 29, 2015. The Tribe has requested that the ASLB remand the Final Supplementary Environmental Impact Statement (“FSEIS”) back to NRC staff to conduct the necessary analyses and reviews that the Tribe asserts were not completed. The ASLB will issue an initial decision by March 10, 2015. The ASLB will individually rule on the seven contentions, and can rule in favor of Powertech, can modify or invalidate the license, or can order the NRC staff to conduct additional analyses and revise the FSEIS and license. The ASLB’s initial decision will likely be appealed to the NRC’s Commission by the filing of a petition for review in accordance with U.S. 10 C.F.R. section 2.341(b)(4). Commission review can take several months, and the Commission’s decision can be appealed in federal court. Given the contentious nature of this matter, it has a high probability of landing in federal court. The fact is that although the “final” NRC license has been issued, the NRC permitting process is far from over. Any reasonable observer would conclude that a final disposition of the NRC license will not occur until sometime in 2016 at the earliest. Section 4.2(5)(a)(iii) of National Instrument 43-101 appears to allow an issuer to make a written disclosure of “a change in mineral resources, mineral reserves or the results of a preliminary economic assessment from the most recently filed technical report if the change constitutes a material change in relation to the issuer” up to 45 days prior to filing a technical report supporting such disclosure. However, Azarga went beyond simply disclosing the results of a PEA that would be filed later. The title of the news release contains the assertion that the company actually “issued” the PEA. But investors have no way to access and review the PEA since it has not been filed on SEDAR. As a result, investors are unable to fully understand the assumptions, and drill down into the modeling, that form the basis for the conclusions stated in the news release. Azarga should be required to immediately disclose to investors that prior statements regarding the NRC permitting process and the new PEA are not accurate, and should be required to fully disclose the status of both. Furthermore, Azarga should be required to timely disclose when the PEA is filed on SEDAR. Some Baby Steps Toward Medicaid Expansion In South Dakota? Governor Daugaard's Talk With WNAX Is Intriguing. 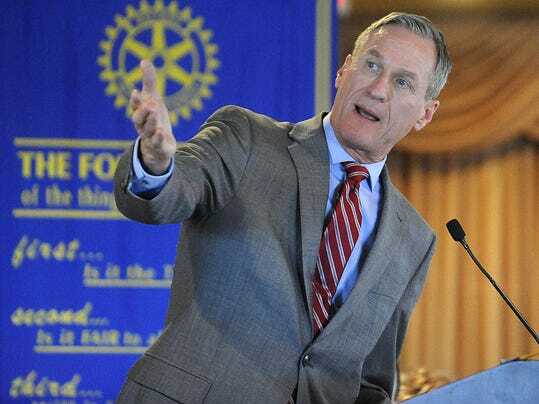 Now that the evidence about the positive economic and healthcare effects of expanding Medicaid are starting to mount up, South Dakota Governor Dennis Daugaard seems to taking some baby rhetorical steps in the direction of considering it for our state. Daugaard's cautious nature explains the carefully worded phrases he used during yesterday's interview on the subject with WNAX radio. That it's a politically-sensitive Obamacare-driven initiative in the first place also mandates the Governor's circumspection. But politically discreet rhetoric or not, it seems clear that Daugaard is opening his mind to the prospects of bringing more Medicaid money into South Dakota. comes to voting for Presidents) just released a report on the excellent results*(40,000 jobs and $30 billion economic impact) that accrued from its decision to expand Medicaid. I've seen similar results from other states, but find Kentucky, with its rural nature and sporadic urban areas to be a good model for South Dakota decision-makers to observe. Our state's reflexively Republican rejection of Medicaid expansion (Mike Rounds made the destruction of the program--all of Obamacare, actually--a foundation stone of his successful U.S. Senate campaign last year) has been a victory for political stubborness over common sense. The Kentucky paradigm should be a useful guide for our elected officials to use Though Daugaard himself has been adamantly opposed to expansion, there comes a point where facts and experience have to be acknowledged. Incrementally or in one fell swoop, Daugaard's willingness to open his mind on this is encouraging. *Scroll down the "Activity Stream" to the Feb 12, 2015 bracket and you'll find the complete report.